Oct. 25: Like Van Wagenen before him, Bloom has opted to release a brief statement rather than conduct an interview with the media. It’s a fairly standard-issue statement, with Bloom calling yesterday’s second interview with the Mets “productive” and adding that he “enjoyed” the opportunity to but declining to speak much beyond that out of respect to his current role with the Tampa Bay organization. DiComo tweets that a “sizable industry majority” considers Melvin to be the favorite, though he and numerous others have suggested that the lack of a media session for Van Wagenen and Bloom shouldn’t be read into as an indicator that Melvin has the job locked up. Rather, neither Van Wagenen nor Bloom felt comfortable addressing the New York media about a potential new role, given their prominent standing elsewhere in the baseball world. Oct. 24: The Mets’ ongoing search for a general manager was narrowed to five recently, and Matt Ehalt of the New Jersey tweets that two candidates, MLB exec Kim Ng and agent Casey Close, have been eliminated from the running. (Close’s role in the process is now being downplayed, as Tim Healey of Newsday tweets.) MLB.com’s Anthony DiComo hears similarly, tweeting that the three finalists for the post are Rays senior vice president of baseball operations Chaim Bloom, former Brewers/Rangers general manager Doug Melvin, and agent Brodie Van Wagenen — the head of CAA Baseball. Bloom, 35, cut his teeth as a 21-year-old intern and rose through the ranks of one of baseball’s most analytic- and data-driven organizations, recently being named one of the Rays’ top two execs alongside GM Erik Neander. He will have the chance to make final impressions on the Mets hiring committee, following the other two candidates in the process. It is expected that he’ll speak with the media following his interview. The 66-year-old Melvin comes from a more traditional scouting background and would undoubtedly be tabbed an “old-school” hire by the Mets, though his fingerprints are still present on a Brewers club that just came within a game of a World Series berth. Melvin was the GM for the acquisitions of Josh Hader (Carlos Gomez trade), Domingo Santana (Gomez trade), Corey Knebel (Yovani Gallardo trade), Zach Davies (Gerardo Parra trade) and Hernan Perez (waiver claim) as well as the drafting of Brandon Woodruff, Jacob Barnes and Brent Suter. Following his sit-down, Melvin chatted with the media about his candidacy, as MLB.com’s Anthony DiComo was among those to cover. He emphasized that he’s open to contemporary analytics and also attempted to highlight his own instances forward thinking as an executive. Melvin seemingly positioned himself as a seasoned decisionmaker who can incorporate cutting-edge tools. He also stressed that he is motivated to get back into the day-to-day running of an ops department after several years away. Van Wagenen would be the most outside-the-box hire the Mets could make, having no prior experience as an executive with a Major League club. The 44-year-old directly represents numerous Mets players, though, including Yoenis Cespedes and Jacob deGrom, so owners Fred and Jeff Wilpon undoubtedly have a longstanding familiarity with him. Agencies are continually becoming increasingly versed in analytics as they seek to make the best possible cases for their clients, though certainly there’d be an enormous difference between heading up an agency (even one of the game’s larger agencies) and running a baseball operations department while simultaneously addressing the media as the face of the team’s leadership. Van Wagenen interviewed on Monday. While the New York Post’s Mike Puma has previously reported that the Mets plan on making all of the finalists available to the media after the coming wave of secondary interviews, that did not come to pass in this case owing to Van Wagenen’s still-existing agency obligations. As Puma writes, the obvious tension between Van Wagenen’s current role as a significant agent and his consideration for this important role with the Mets is a significant concern for some on the player side of the labor divide. Clearly, it creates a tricky situation even during the interview process. 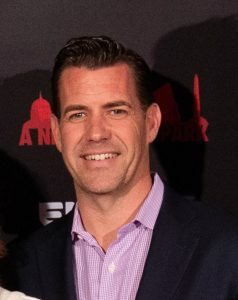 Van Wagenen would need to step away from CAA and transfer representation of his clients to others in the agency were he to ultimately take the Mets’ job. Chris Archer will undergo an MRI on Monday to determine the extent of his injured groin, he told MLB.com’s Erik Erickson and other reporters. The injury cropped up during Archer’s start on Saturday, and the Rays ace said the problem was still bothering him today. Given the timeline, Archer said it was “questionable” whether he’d make his next scheduled start. Losing Archer would be another blow to a Rays team that has been scrambling for arms due to injuries and their unique usage of regular bullpen days, not to mention the potential impact it could have on Archer’s value as a potential trade chip at the deadline. In further ominous injury news, the Tampa Bay Times’ Marc Topkin reports (Twitter link) that southpaw Anthony Banda will visit with team doctors after being placed on the Triple-A disabled list due to a forearm strain. Acquired as the primary piece in the three-team trade that sent Steven Souza to the Diamondbacks last offseason, Banda has posted solid numbers at Triple-A this season and also made three MLB appearances for the Rays (one official start and two relief outings behind “openers” Sergio Romo and Ryne Stanek). Forearm injuries are always cause for concern, particularly since Tampa Bay has already lost youngsters Jose De Leon and Brent Honeywell to Tommy John surgery within the last few months. The recent deal that sent Denard Span and Alex Colome to Seattle stands out as perhaps the biggest of the nine trades between the Rays and Mariners since Jerry Dipoto became Seattle’s GM in September 2015. The close relationship between Dipoto and Rays GM Erik Neander plays a large role, though Topkin expands on that topic as part of a larger piece about how Tampa Bay approaches trades in general. For instance, the Rays send several scouts to analyze another team’s player (or players) to get a variety of opinions before targeting someone in talks. The club also puts a particular focus on scouting the lower levels of the minors to find hidden gems; several players acquired from the Mariners, in fact, have been unheralded names who eventually cracked the big leagues. The Rays have announced a restructuring of their front office, as Marc Topkin of the Tampa Bay Times reported on Twitter. Erik Neander has been promoted to senior VP of baseball operations and general manager, while Chaim Bloom will also receive a promotion to a senior VP title. At the time of Silverman’s hiring, his primary duties were on the business side of the organization, as Topkin explained at the time. Though he was also involved in significant decision in the operations department, that was primarily Friedman’s domain. With Silverman’s changed role, Brian Auld took over as the team president. 2:23pm: Bloom has turned down an opportunity to interview with the Diamondbacks, reports Piecoro. Dodgers executive Alex Anthopoulos did the same earlier this week, FanRag Sports’ Jon Heyman relayed Saturday. 9:58am: Rays VP of baseball operations Chaim Bloom and Royals’ assistant GM J.J. Picollo are believed to be candidates for the Diamondbacks’ general manager position, league sources tell Nick Piecoro of the Arizona Republic. The two executives join a lengthy list of names previously linked to the D’Backs job, including Ned Colletti, Kim Ng, Ray Montgomery, Peter Woodfork and internal candidates Bryan Minniti and Mike Bell. Both Bloom and Picollo have been connected to multiple front office openings in recent years, even getting consideration for the same job on more than one occasion. Both were interviewed for the Twins GM job just last month, and both were contenders to become the Phillies’ new general manager last offseason before the team hired Matt Klentak. (Picollo was an early favorite for the Philadelphia job, though it was Bloom who ended up making the Phillies’ final three list of candidates for the position, along with Klentak and A’s assistant GM Dan Kantrovitz.) Bloom was also interviewed by the Brewers last offseason before they hired David Stearns as their new general manager. Unlike the other known candidates, Bloom and Picollo don’t have any previous connection with the D’Backs themselves or other NL West teams, so they would bring a fresh perspective to Arizona’s baseball operations department. Bloom has spent his entire 11-year career in baseball with Tampa Bay, while Picollo has spent the last decade in the Royals’ front office and the previous seven years working for the Braves. Both are also younger executives (Picollo is 45 years old and Bloom is just 33) and thought to be more analytically-minded, which would also represent a change in direction for the D’Backs. The previous front office, led by Tony La Russa and since-fired GM Dave Stewart, was rather openly old-school in their approach, with an analytics department headed by a first-time baseball ops hire. Rays vice president of baseball operations Chaim Bloom is one of the Twins’ candidates for their newly created president of baseball operations position, reports Ken Rosenthal of FOX Sports (via Twitter). Bloom, 33, is a Yale graduate who has been with the Rays organization since 2005 and rose to the position of VP of baseball ops following Andrew Friedman’s departure for the Dodgers organization in 2014. Bloom’s background with the Rays is multi-faceted but involves working with the team’s player development department, contract negotiations, player evaluation and international scouting. Bloom has been a frequent candidate for GM openings around the league, as he interviewed with the Brewers last winter before their hiring of David Stearns and was also one of three reported finalists for the Phillies’ general manager vacancy prior to Philadelphia’s hiring of Matt Klentak. He joins a growing list of known Twins candidates, including Indians assistant general manager Derek Falvey, Cubs senior vice president of player development/amateur scouting Jason McLeod and Royals assistant general manager J.J. Picollo. Reports have indicated that the Twins’ list of candidates has a fairly analytical bend to it, and Bloom’s inclusion in the list lines up well with that information. It’s not yet clear, based on Rosenthal’s report, whether the Twins have conducted an interview with Bloom, though the team has already interviewed multiple candidates, including Falvey and Picollo. After a lengthy quiet spell regarding the Twins’ executive search, rumors have begun to pick up with increasing frequency in recent weeks. However, Minnesota’s search has hit some roadblocks, as well-known execs like Alex Anthopoulos, Ben Cherington and David Forst have reportedly passed on the opportunity to interview for the newly created position atop the Twins’ baseball operations hierarchy.